This sculpture was commissioned by someone that was looking for something very specific; a sculpture of a brilliant-cut diamond carved from a white stone. 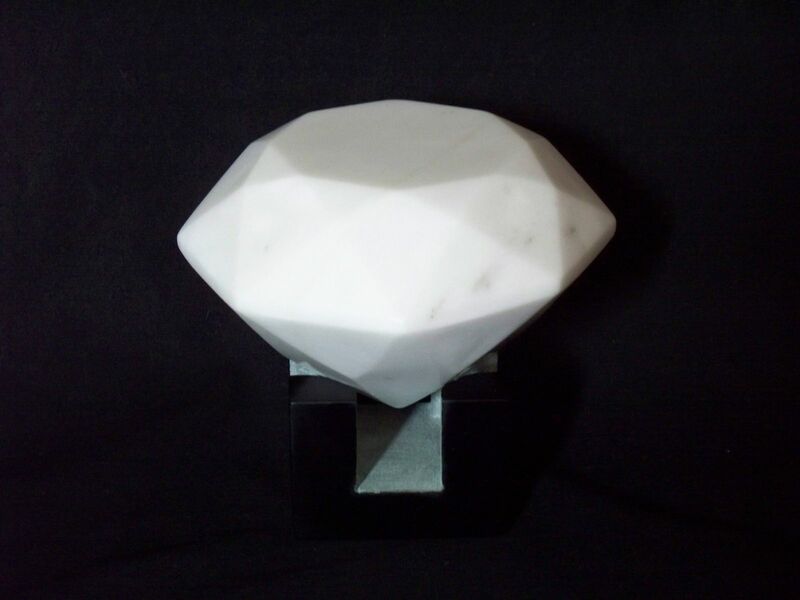 It was given as an "inspirational gift", to his friend that is writing a book that is tentatively titled "The White Diamond". 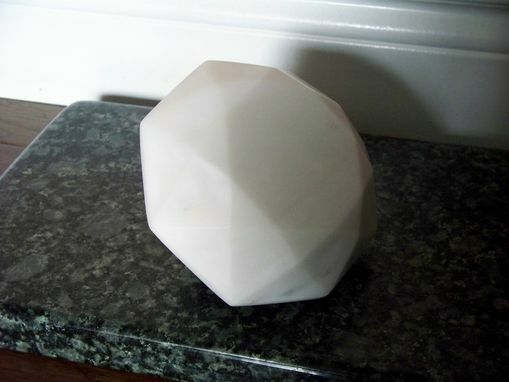 It was carved from Carrara marble and I decided to make a custom base for it out of chlorite, at no extra charge. 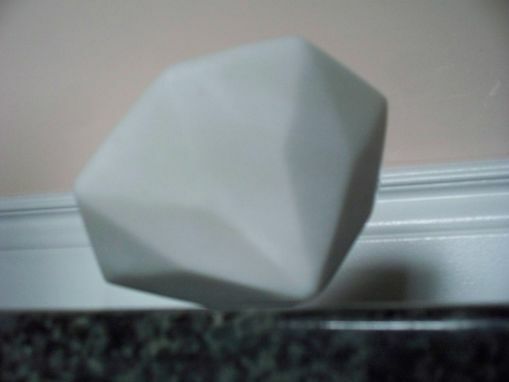 This was one of the most technically challenging projects that I have undertaken as I had not previously done any faceting. Unfortunately, I never did get a very good photo of it.